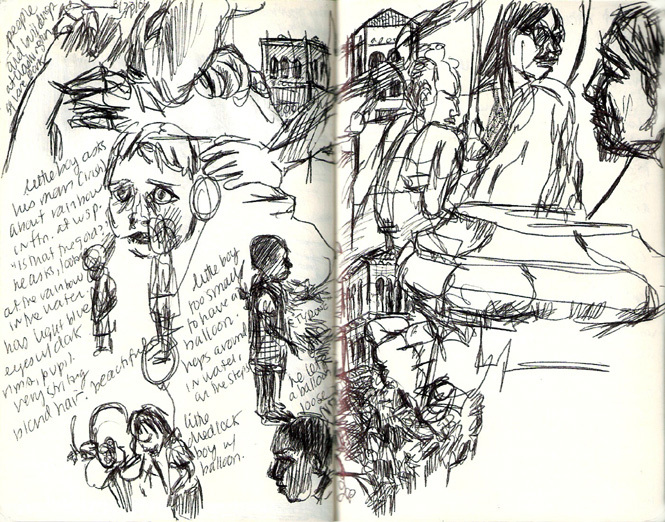 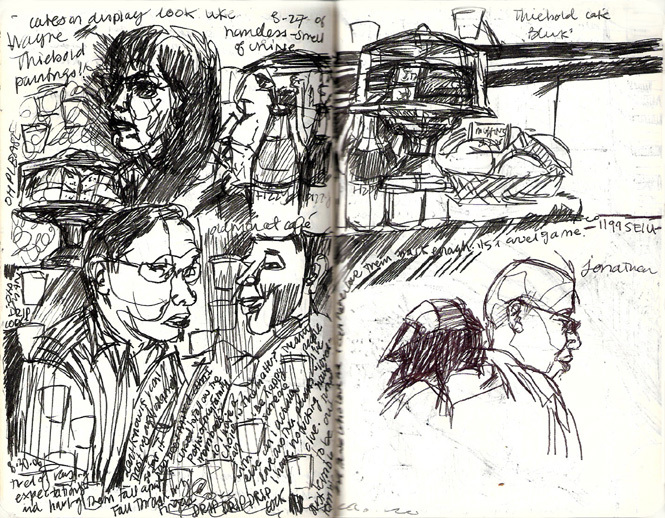 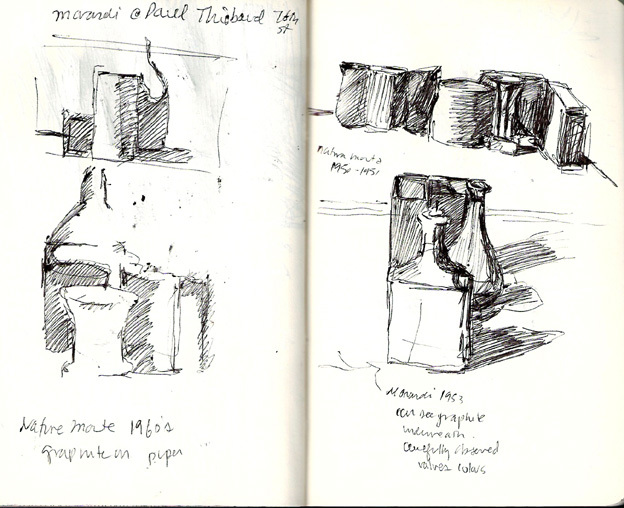 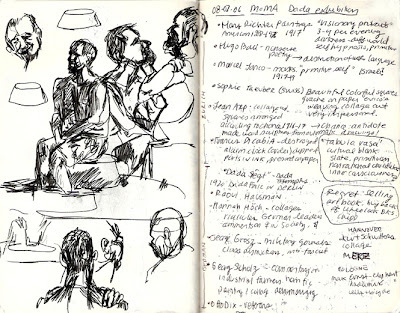 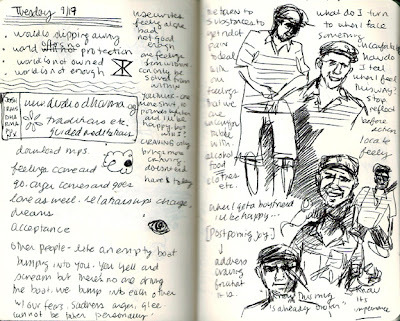 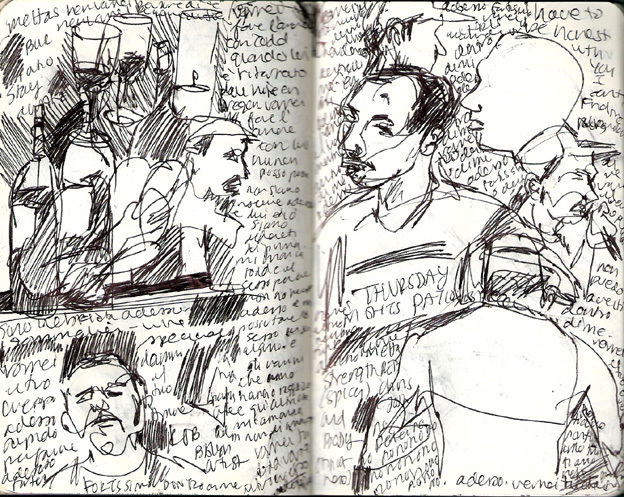 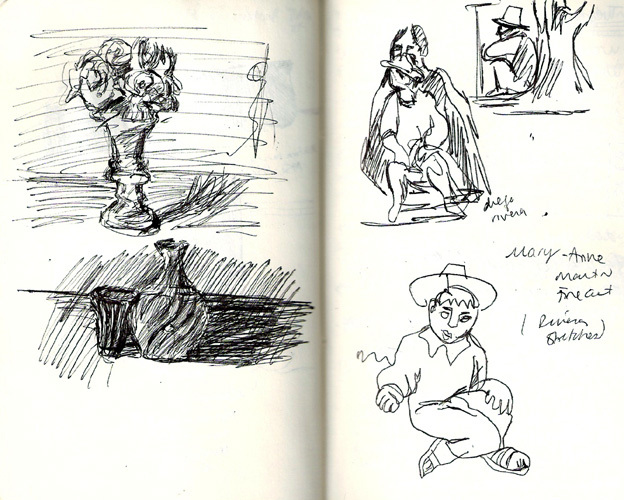 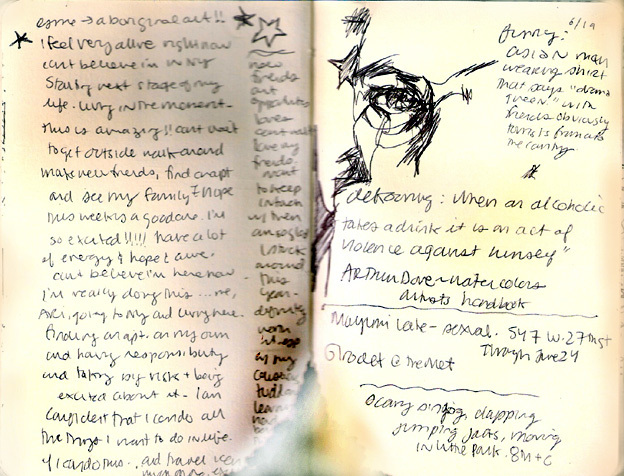 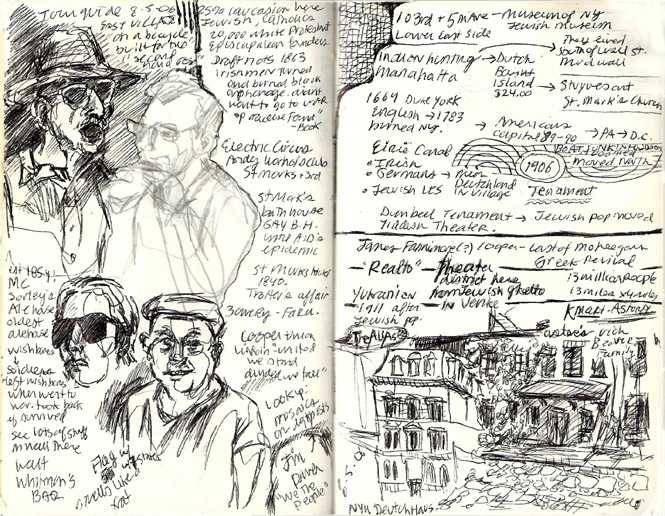 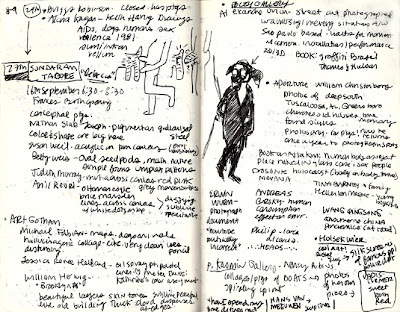 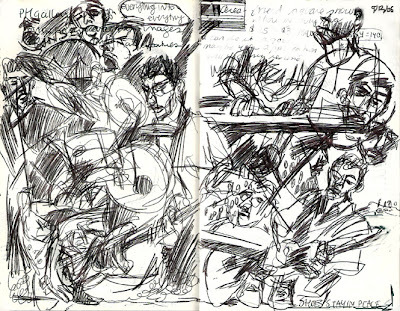 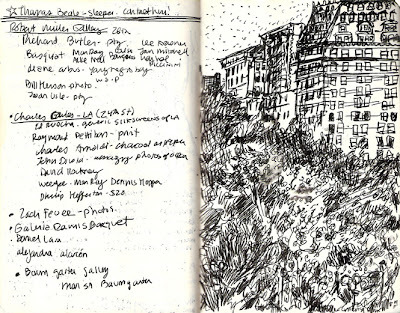 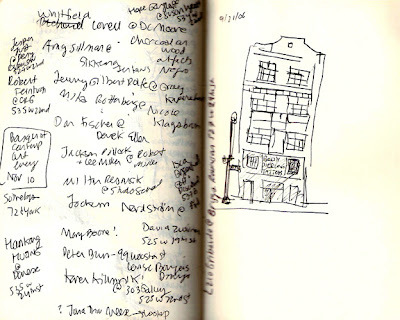 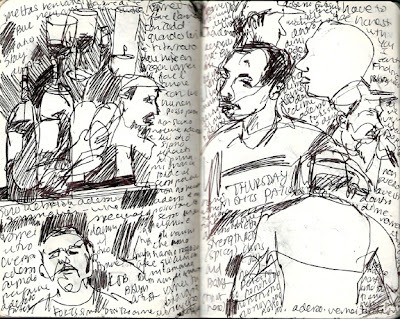 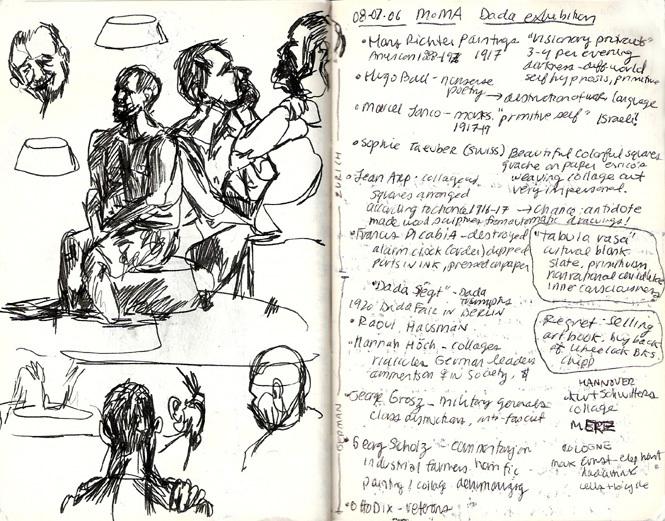 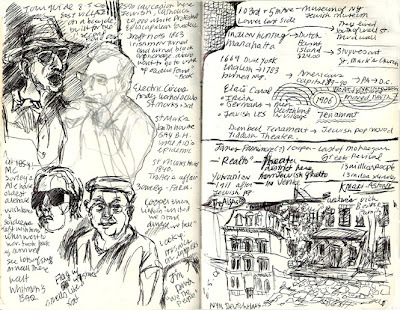 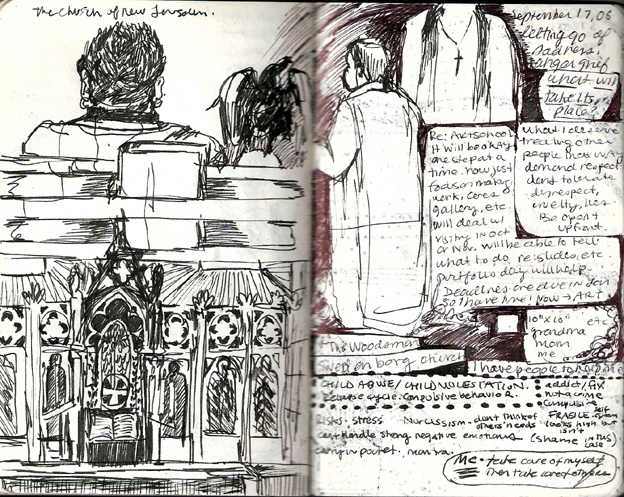 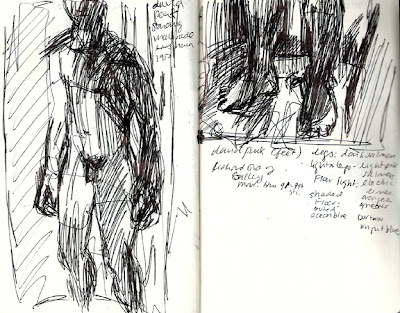 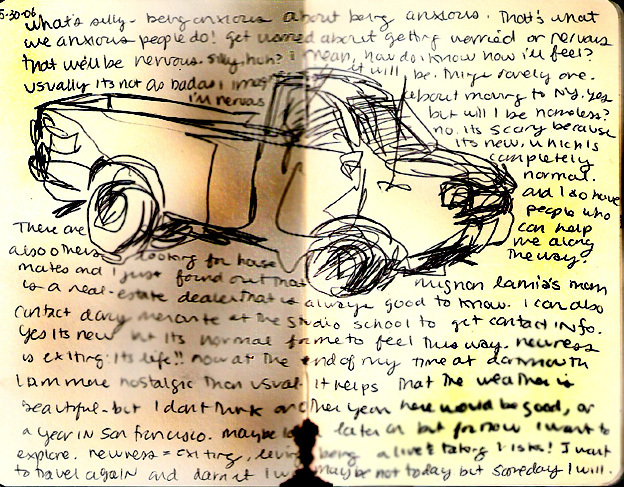 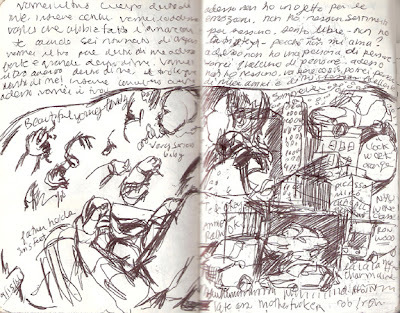 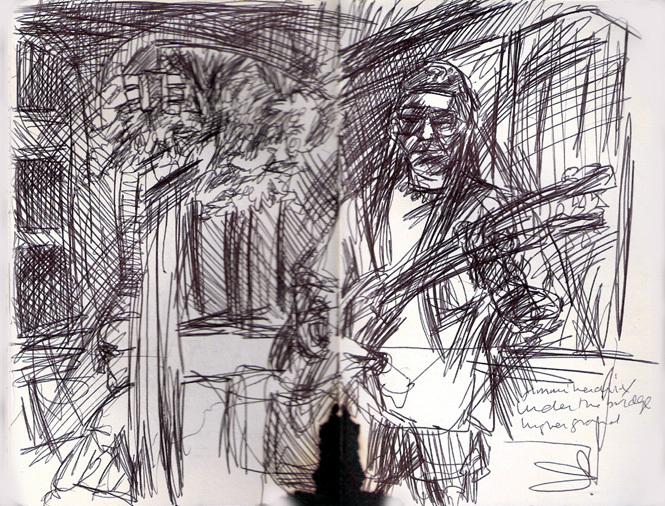 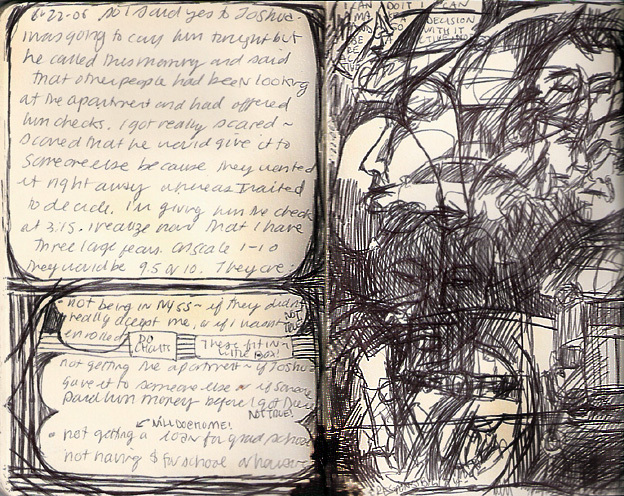 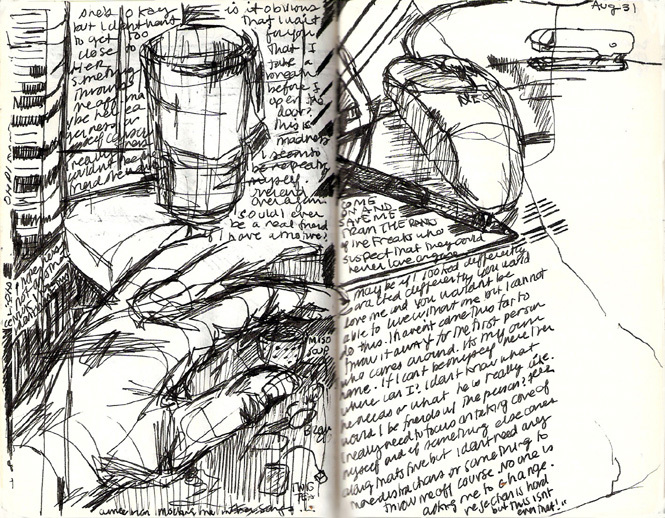 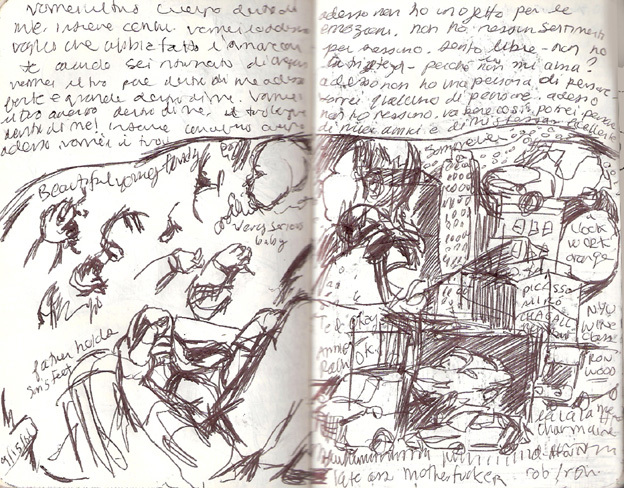 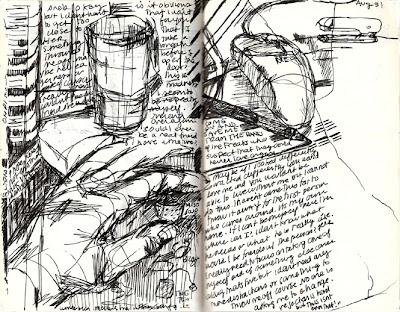 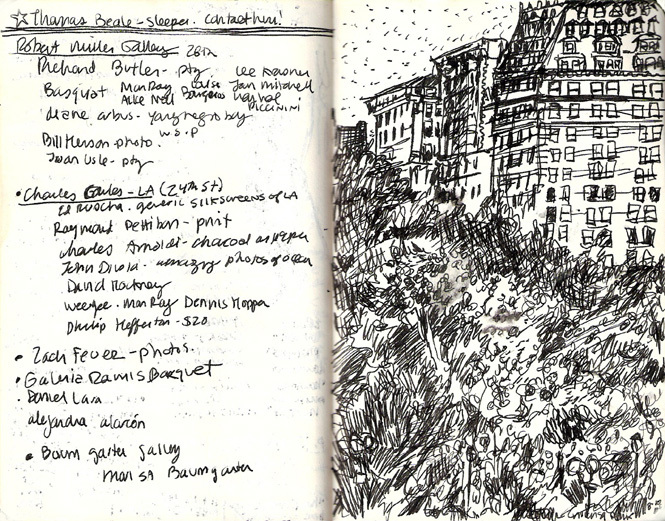 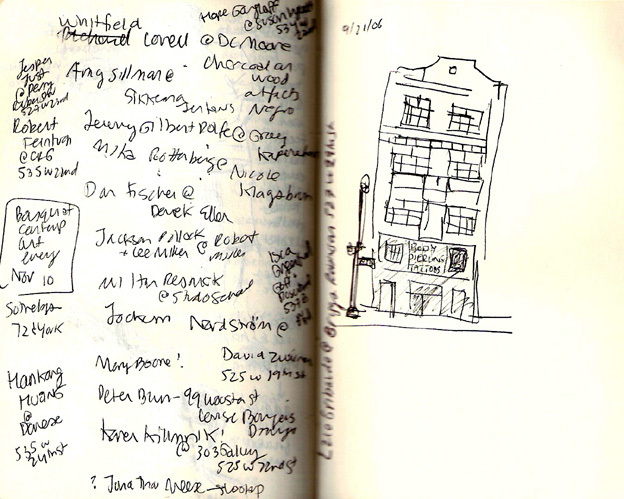 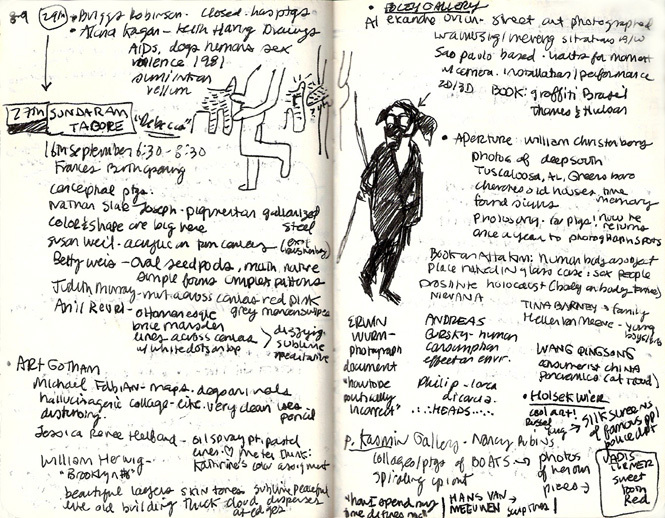 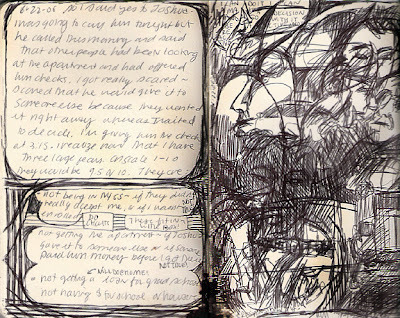 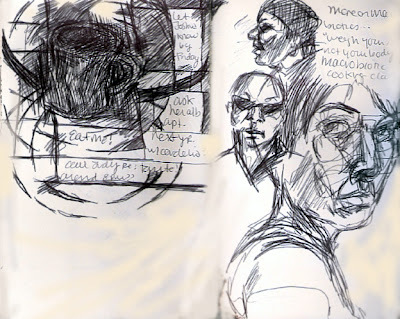 During my first weeks in New York, I brought my sketchbooks with me wherever I went. 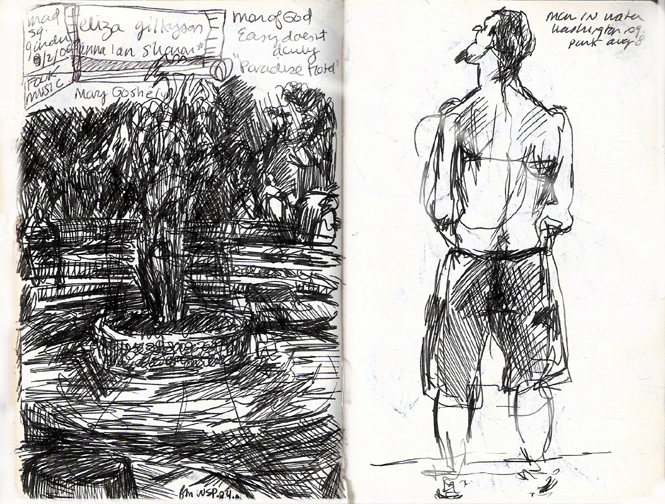 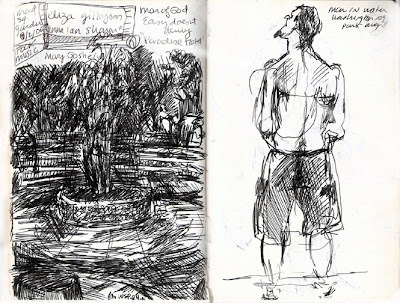 My favorite spots to sketch were public parks, cafes, galleries and museums. 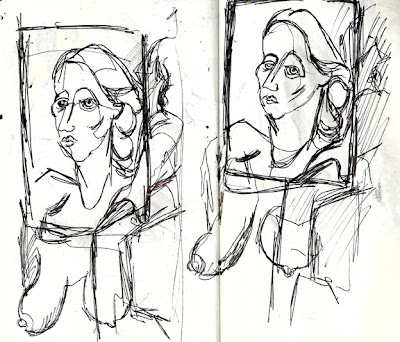 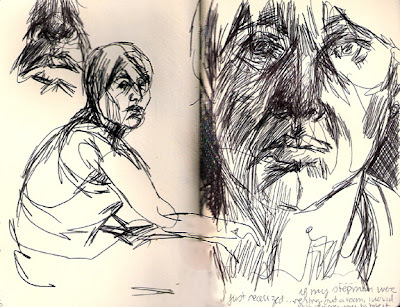 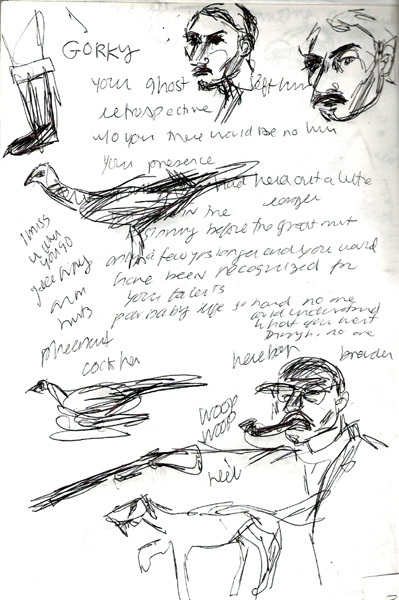 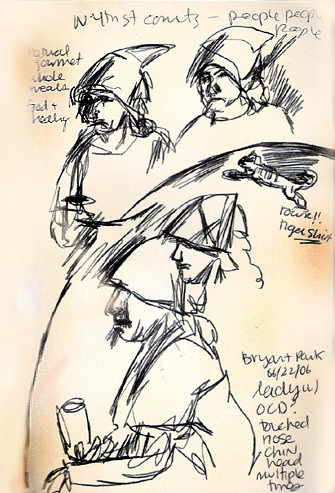 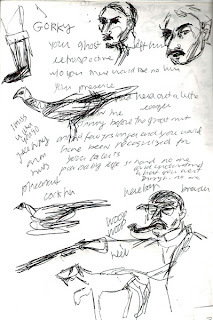 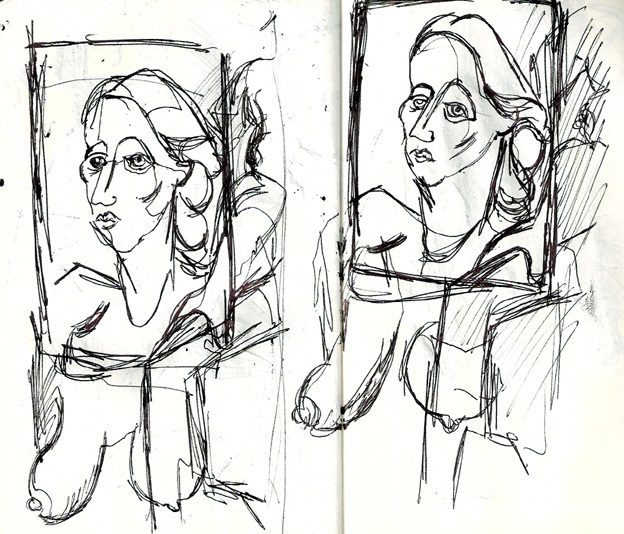 My pen marks are rough and urgent, as I have only moments to sketch my subjects before they wander off. 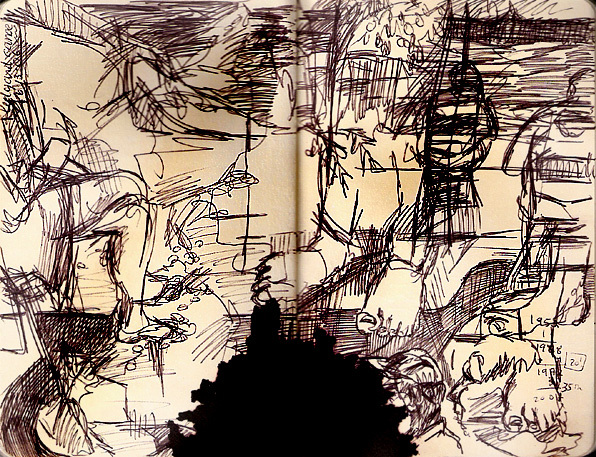 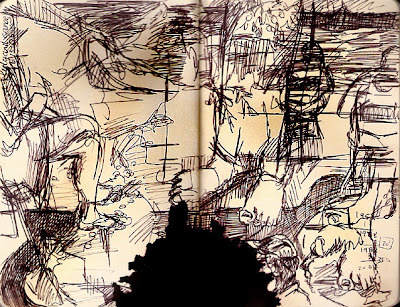 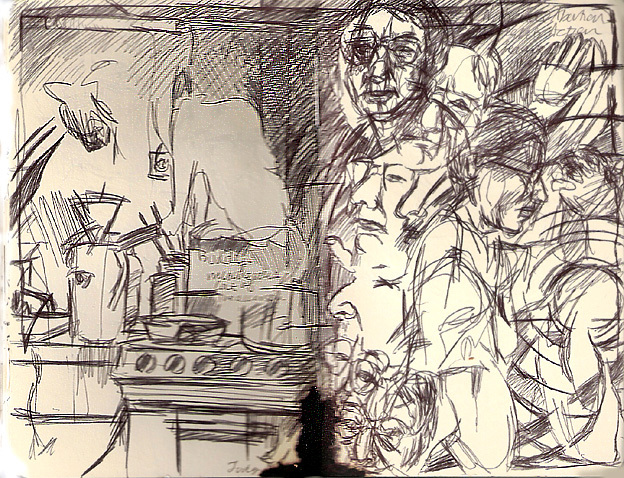 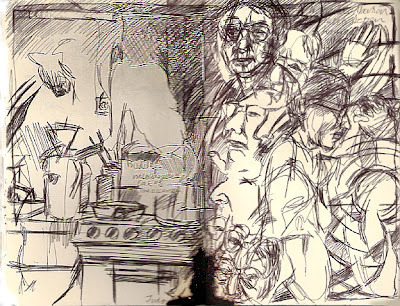 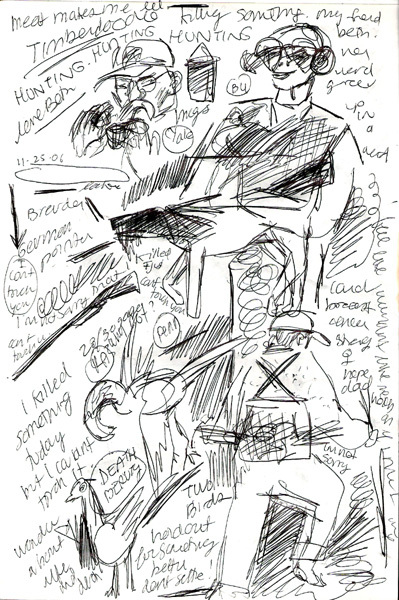 I enjoy overlaying images and incorporating observations into the sketches. 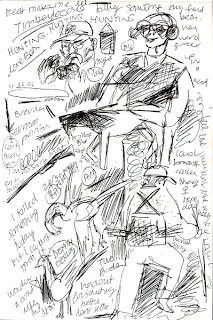 In my best drawings, words and marks weave together to create an accurate (although abstract) representation of my everyday visual and psychological experience. 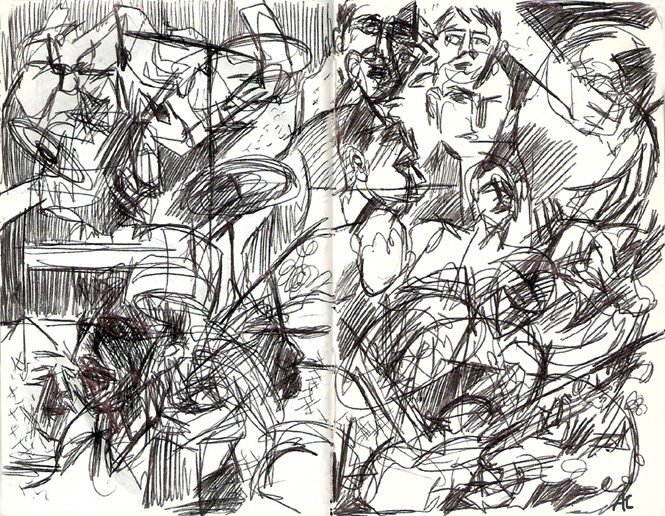 each piece: pen on paper, 7.5" x 5.5"